It is time for the weekly edition of Blogger Candidate Forum. Karma is wonderful thing. In 2009, Representative Joe Wilson (R-South Carolina) shouted "you lie" during former-President Barack Obama's maiden speech to Congress. Several years later, at a town hall meeting in his constituency, audience members shouted "you lie" at Rep. Wilson. Got to love karma. Alright, on to today's subject: transportation spending. build new roads and highways, and bridges, and airports, and tunnels, and railways, all across our wonder nation. This all sounds wonderful but if President Trump's budget proposal goes through, rural transportation program could also feel the pain of budget cuts. 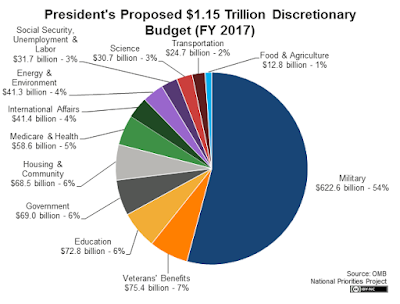 To date, the proposed 2018 Federal Budget has not been actively discussed in Congress, thus whatever cuts are still up in the air. Laura Bliss reports in her CityLab article, "For Urban Transit, a Hostile Budget," "But where heard opportunity, others sensed hot air." POTUS's proposed federal scheme those fears: "The Department of Transportation (DOT) is slated for a $2.4 billion cut." In short, urban public transit systems, Amtrak, and aviation networks should be ready to feel the pain. Transportation policy makers were were predicting the TIGER grant, the program that awards billions in extremely flexible grants to local transportation projects since 2009, would take a big hit. This program is a unicorn, it enjoys bipartisan Congressional support. TIGER has helped create a bus-rapid transit line in Birmingham, Alabama; commuter rail infrastructure in Chicago, Illinois. If it goes through, the proposed budget would eliminate the program, "stating it would save the feds $499 million annually." 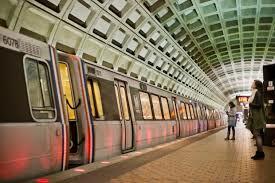 The next proposal to the transportation budget is a cap on the Federal Transit Administration's Capital Investment Program-"New Starts." Ms. Bliss writes, "The budget proposes 'funding to projects with existing full funding grant agreements only.'" This translates to Boston's Green Line extension and the Portland-Milwaukee light rail project in Oregon would be spared. However, most of the "shovel-ready" projects, to borrow a phrase from POTUS, do not have a full agreement in place. This includes, to the dismay of Blogger's San Francisco Bay Area friends, Caltrain's electrification project. Ms. Bliss reports, "Dozens of projects would in limbo, among them several metros that passed major transit referenda in November, including Los Angeles, Indianapolis, and Seattle." Transportation researcher and consultant Yonah Freemark (@yfreemark) assembled a full list that can be viewed on his Twitter feed. If his government believes this, what projects would an infra bill? In an aside, "Toll roads, perhaps, and maybe more gas and oil pipelines." Further, "which 'inner cities' does Trump plan to revitalize if not those in the metros on the cut-list?" 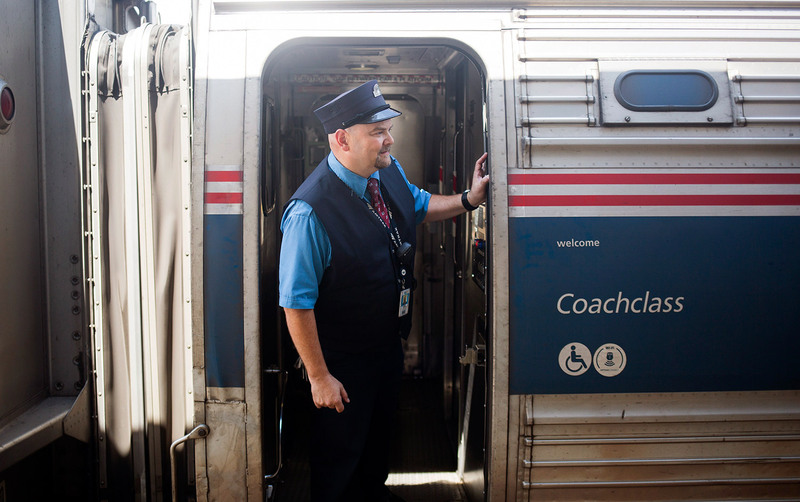 The Trump budget proposal also advances two primary Republican desires: "privatize the Federal Aviation Administration's air traffic control function and axe funds for Amtrak." The budget document also proposes the total elimination of support of intra-state train service, that would allow Amtrak to focus on better managing its State-supported and Northeast Corridor train services (Ibid). This maybe a challenge, considering that one of the most critical and necessary projects is improvements to NEC service-"the highly complex Hudson Tunnel Project-is on the list of 'New Starts' projects that would be passed up for funding." President Trump's budget also proposes ending the $175 million Essential Air Service programs, "which subsidizes flights in and out of rural airports." 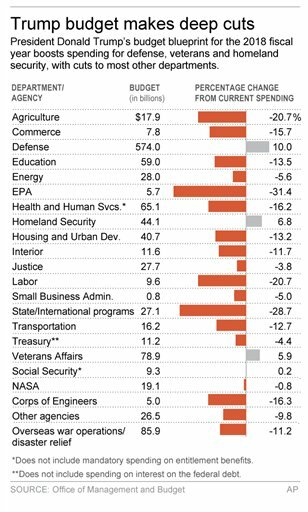 This may be problematic for POTUS because targeting access to rail and air travel could affect his rural support base. Ms. Bliss writes, "...this document seems to operate on the assumption that rural Americans do not wish to travel further than their cars can take them, as it shows an unflinching commitment to funding new roads and highways." 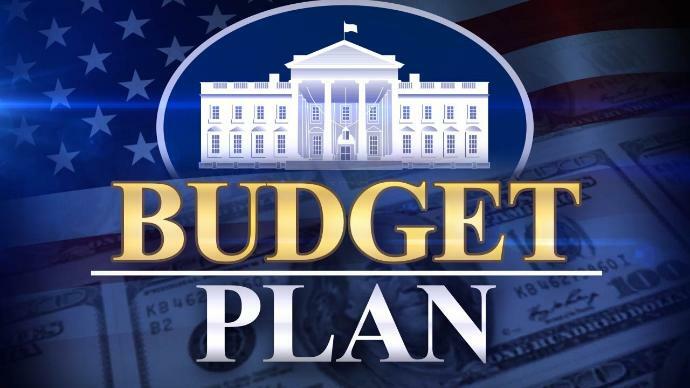 A few key points to keep in mind: "This budget does nothing to touch the largest pot of federal transportation spending, which is the Highway Trust Fund." Money from the perpetually insolvent fund comes from a gas tax that has not been adjusted in 24 years and is allocated based on in entrenched 80-20 percent split between highways and mass transit. Therefore, it will take a massive act of congress will (or divine intervention) to change this split one way or another. Another key point to remember is Congress argues and ultimately settles the federal budget, not President Donald Trump. Already, Democratic lawmakers have been quick to point the big fat lies implicit in the budget in regards to POTUS's commitment to transportation, infrastructure, and the Republicans have promised to push back on specific cut. Transportation secretary Elaine Chao came out in support of the TIGER program. Laura Bliss speculates, "The President may just be lobbing dirtballs at buses, trains, and plains-now it's up to Congress to either join in or fire back." Whatever the ultimate final outcome of the budget negotiations, "Transit funding, which was already tenuous in recent administrations, is not about to get easier to come by."